Think of your favourite romantic song. Chances are the lyrics include the word ‘heart’. You’d probably be surprised if they didn’t. 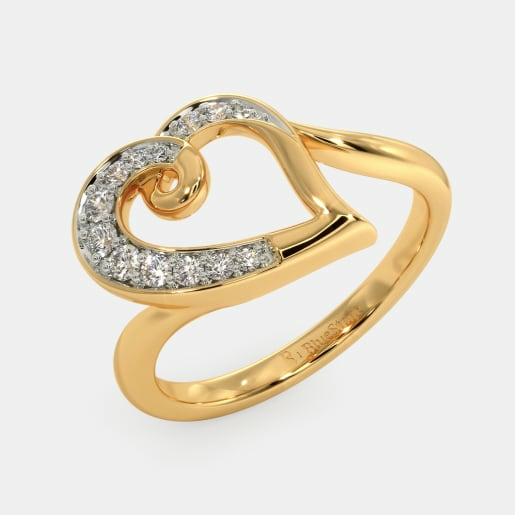 Well, hearts and diamonds are probably the oldest symbols of love. 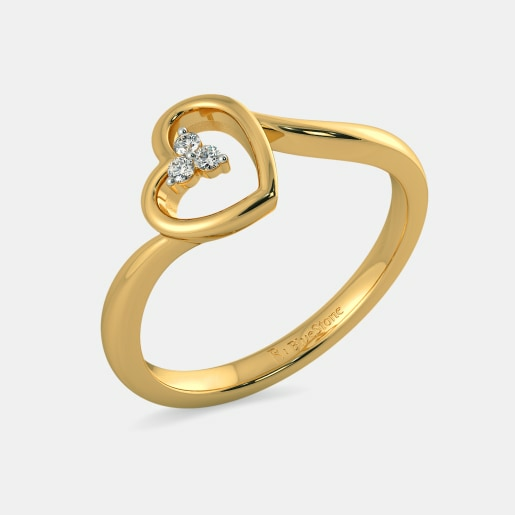 Perhaps, this is why many young men choose diamond heart ring designs when they go down on bended knee to propose to the girl they love. The first diamond engagement ring is said to have been commissioned in 1477 by the Archduke Maximillian – the monarch of the Second Mexican Empire. 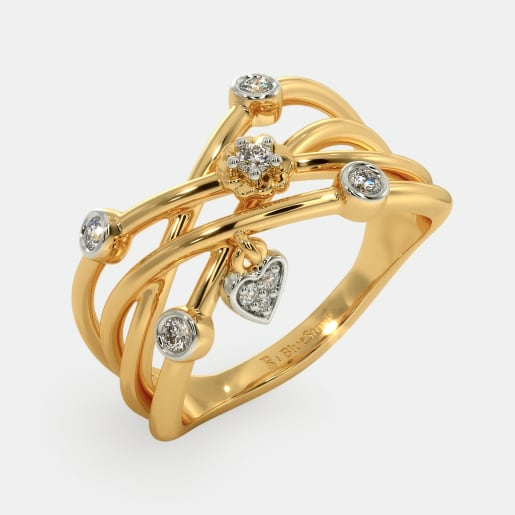 From then on, diamonds have had a special connection with rings. 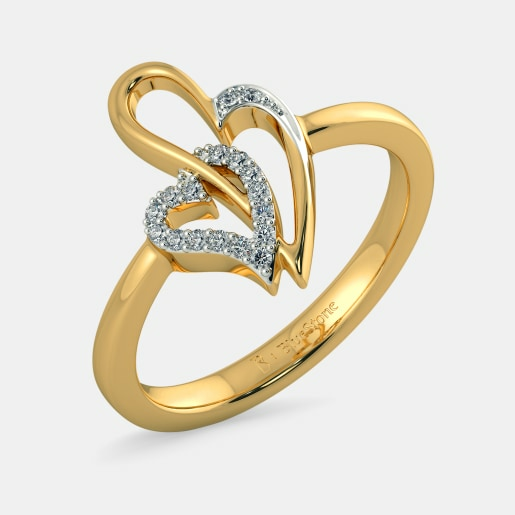 Designs like the Erasmus Ring and the Art of Love Ring bring together the sparkle of a diamond with the soft contours of a heart to form the perfect rings to profess your love with. 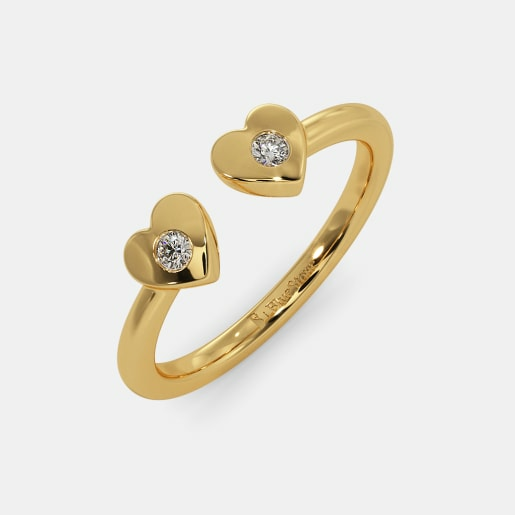 Alternatively, the Amie Crown Ring or the Velma Ring could be a way of declaring who the Queen your heart is. 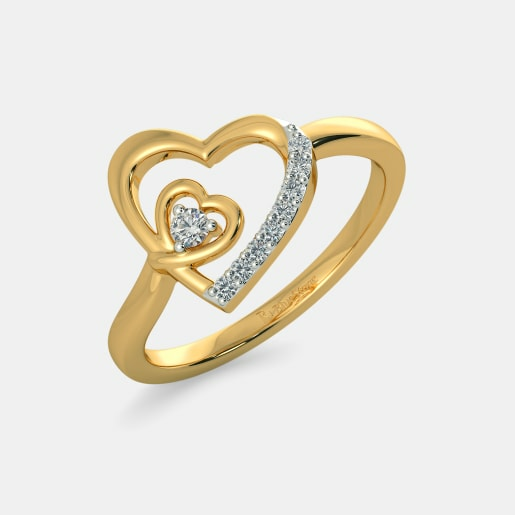 A common theme that you will notice when you buy diamond hearts ring designs is that of two entwined hearts as seen in the Entwined in Love Ring. 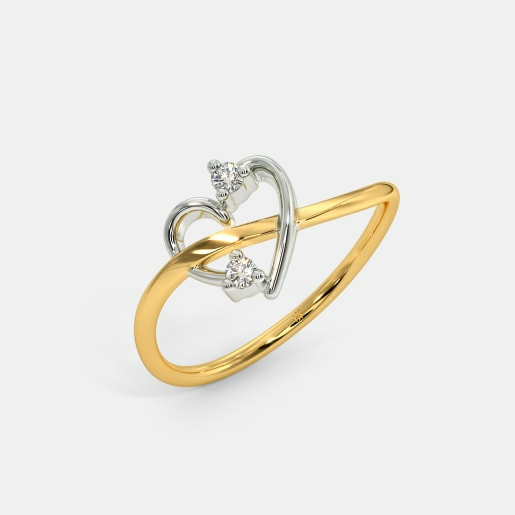 When two hearts are intertwined as a design, it symbolises a love that has no end. 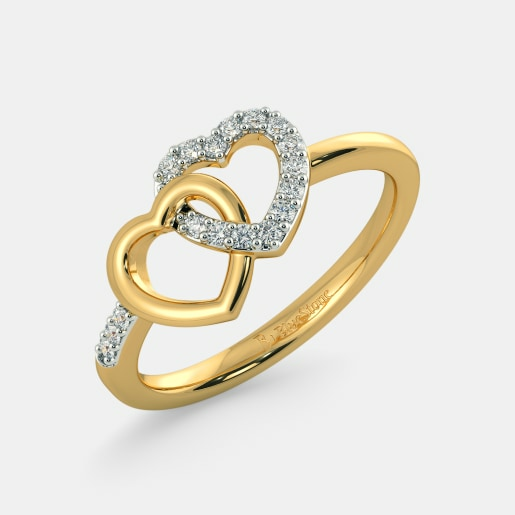 For example, ring designs like the Nayelle Ring and the Affairs of Heart Ring reflect the idea of two people that are connected till eternity. 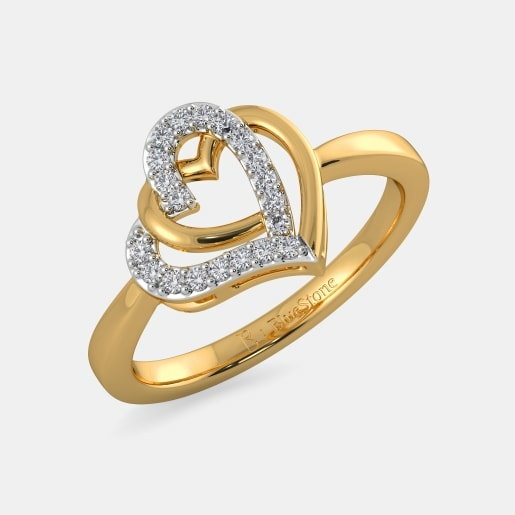 Size is an important factor to keep in mind when you buy diamond hearts rings online like the Nova Ring or the Joran Ring. There are two aspects to this. The first is the size of the ring itself. 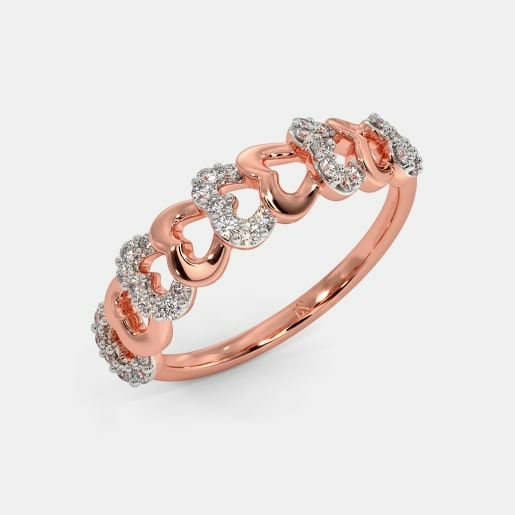 When you buy a ring such as the Amy Ring, you will notice that it is available in sizes ranging from 6 to 30. 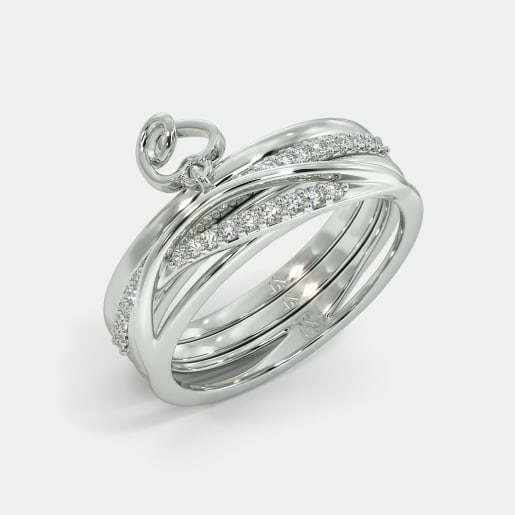 A ring should fit snuggly around one’s finger without being too tight so as to cut off circulation or loose enough to fall off either. To know your ring size, wrap a thin strip of paper around the bottom of your ring finger and mark the point where the two ends meet. This is the circumference of your ring. 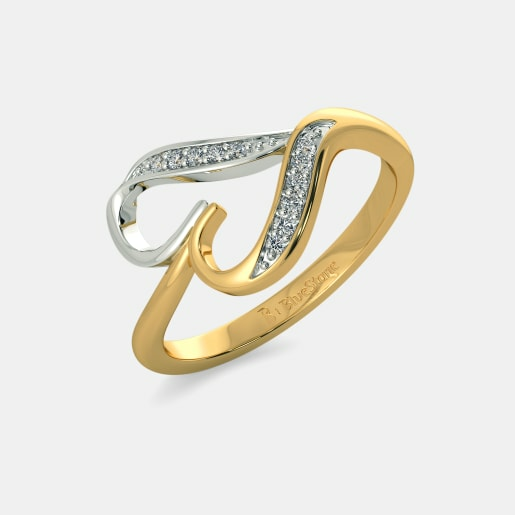 Now, correlate this circumference to a ring size chart to find your ideal ring size. If your size seems to fall between two sizes, pick the larger size. 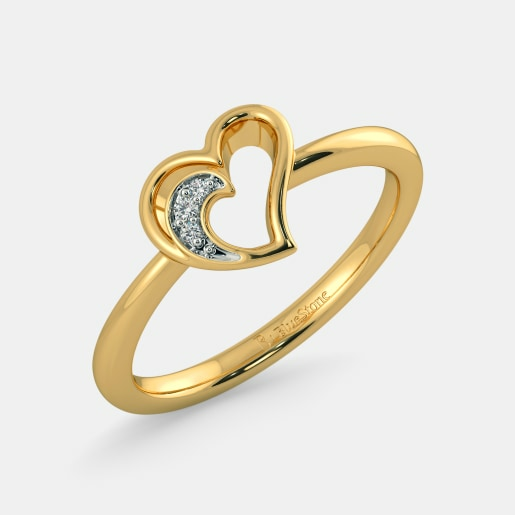 While this does affect the diamond hearts rings prices, a more important factor is the size of the diamonds being used. 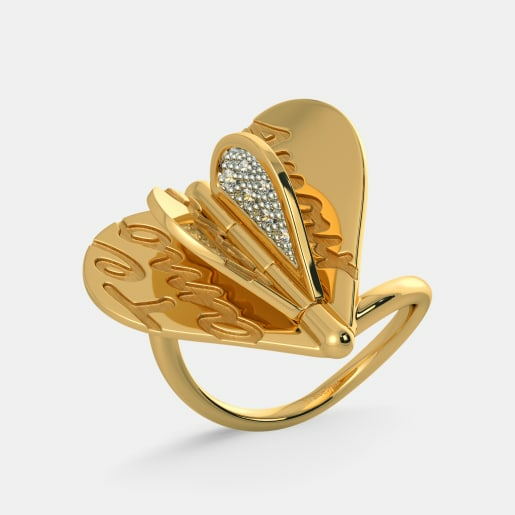 For example, though the Anahi Ring has more diamonds than the Herze Ring, the latter features a bigger diamond and hence is more expensive. 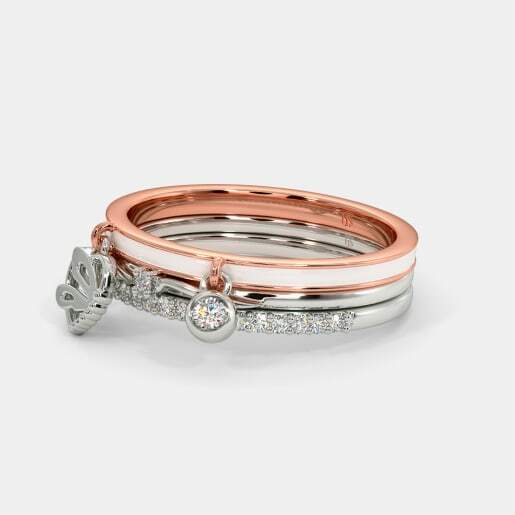 Similarly, the Courtney Ring and the Caramella Ring feature only one diamond each but the difference in stone size leads to a difference in price. 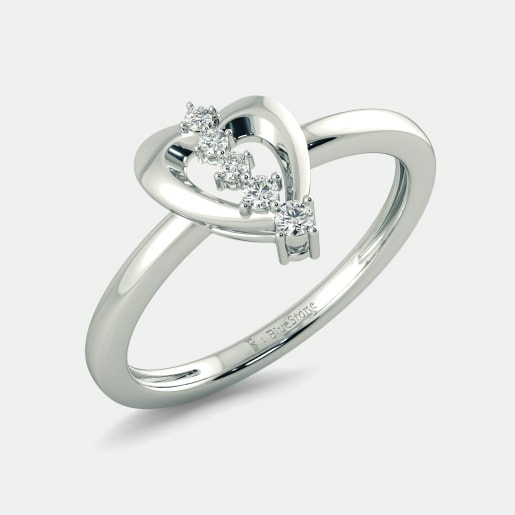 If you’re looking for exclusive diamond heart ring designs, take a look at our extensive collection. 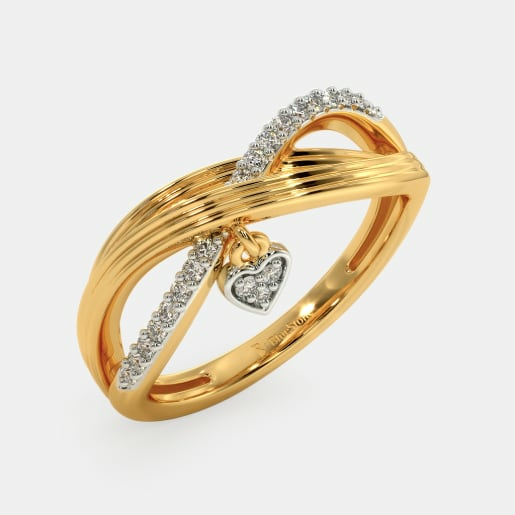 From single stone designs like the Lael Ring to couple rings like the Sparkle of Love Ring for Her and the Sparkle of Love Ring for Him; we have something for everyone. 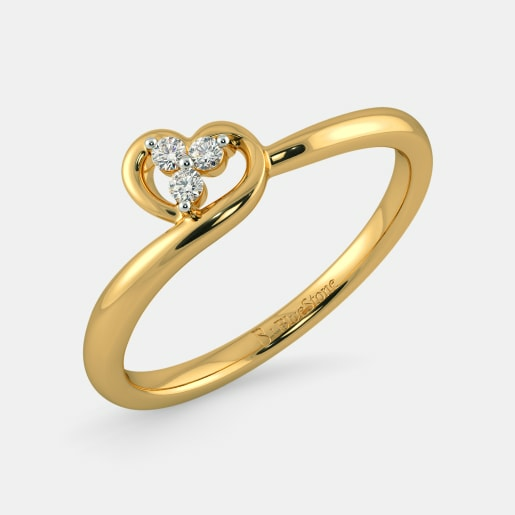 To keep budgetary constraints stopping you from buying a design you really love, we, at BlueStone, also offer you the opportunity to customise your ring in terms of gold carats and the cut and clarity of diamonds. 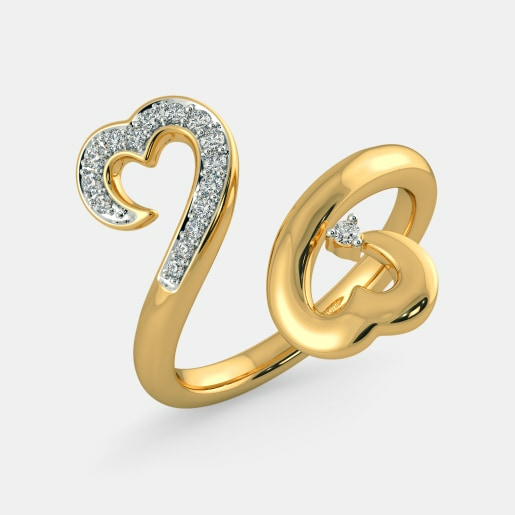 All our diamond heart ring designs are crafted in 18kt gold but can be customised to be made in 14kt gold as well. 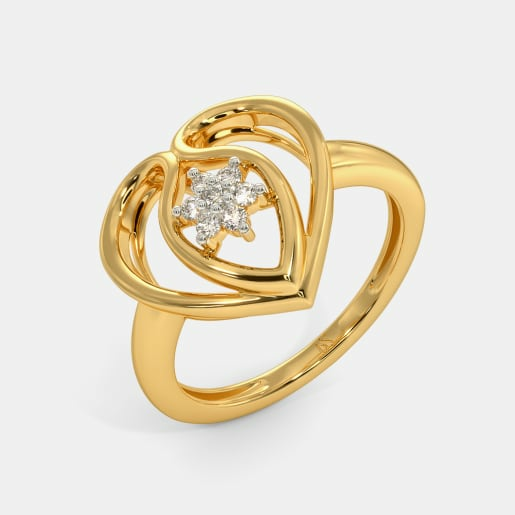 Additionally, you can choose to try on a selection of rings at home before making up your mind about the ring you love the most. 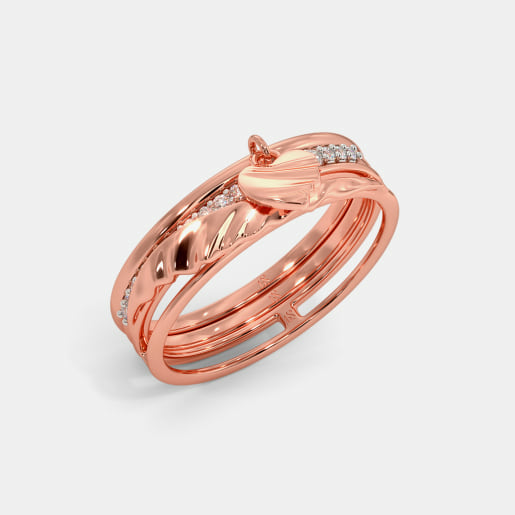 For example, if you can’t make up your mind between the Aurelia Ring, Ihaan Ring and Coming Together Ring, we will send the rings to your home where you can try them on and then buy the one you like. So what are you waiting for? 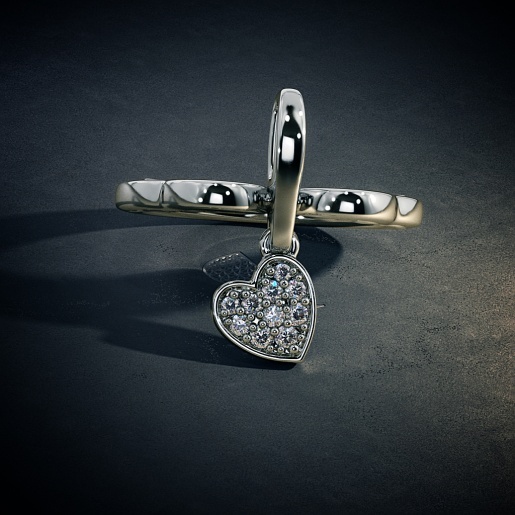 Browse through the range and take a closer look at each piece and buy the ones that you love. If you need any assistance, let us know. We are glad to help you.